← Meet a SuperNatural-Kim J. Lasts: for about 2-3 weeks max. First thing to do is have the proper parts. I sectioned off the front sides of my hair in squares. You can do this by beginning to part a Mohawk but only parting half way through. Instead of bringing the part all the way back swing it behind your ears. From the front it looks like a Mohawk but the back is un-parted. 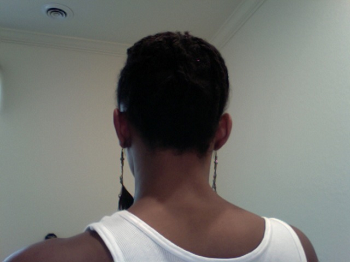 The next step is double strand twisting yourhair (excluding the front sides). Double strand twisting is the longest part of this style process. You want to go through your hair in small, even square sections and individually twist each part, using the conditioner and oil to moisturise along the way. The difference between regular twists and double strand twists is you twist your hair backwards then twist it forward (hence the double strand). I would look up an instructional video on youtube if you need extra help. 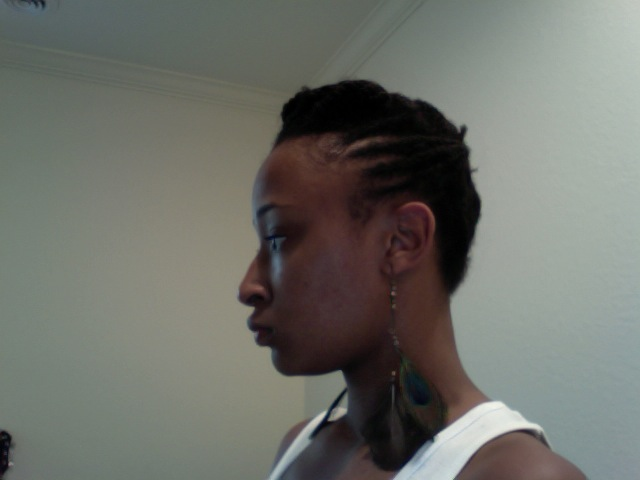 I wanted to go for a mohawk look as well so I decided to mix it up and braid the sides. 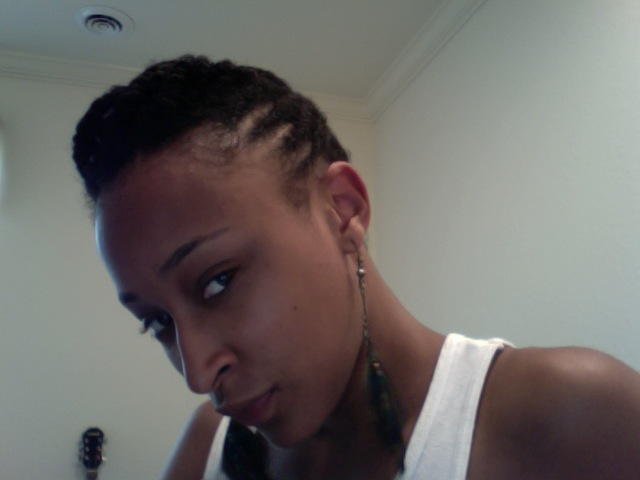 When you finish braiding you will have twist hanging down in the front/bang area and braids on the sides. The last part is a little tricky. Starting from the back of the head, using bobby pins, slowly pin your twists upward. It looks neater if you align them down the middle, pulling the twists on the sides toward the center. Take the ends of the braids from the mohawk and pin them toward the center. Then pull the twist hanging in the front back toward the center as well. If you want a funky-er look create a hump in the front for style sake. Finally spray with oil sheen for a clean shiny look. This entry was posted in Protective Styling, SuperStyle Tutorial and tagged braids, mohawk, style, updo. Bookmark the permalink.